Taco Bell is making June 13, 2017 a true Taco Tuesday by giving away free tacos from 2:00 p.m. to 6:00 p.m. local time. For the second consecutive year, Taco Bell is teaming up with the NBA for the “Steal a Game, Steal a Taco” promotion. That meant that the first team to steal a win on the road during the 2017 NBA Finals also wins a free Doritos® Locos Taco for everyone in America. 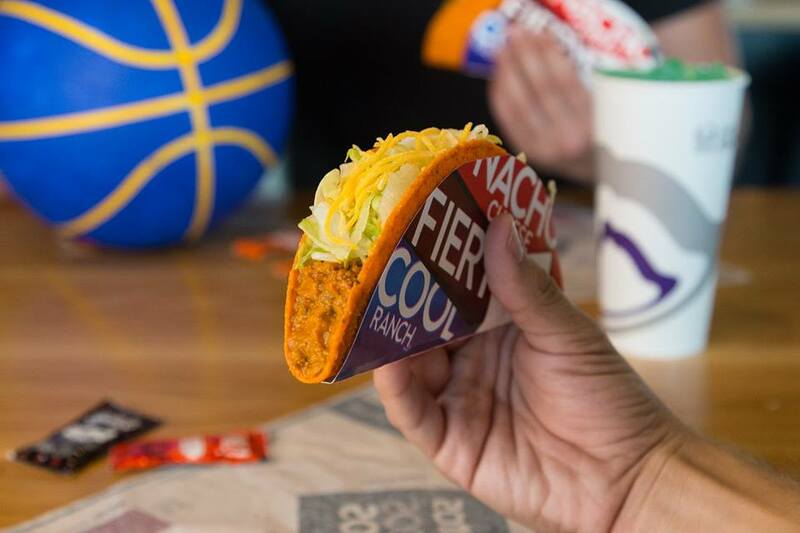 Because the Golden State Warriors won Game 3 of the NBA Finals, that meant that Taco Bell had to give away free Doritos Locos Taco on June 13. “Crunch time during the NBA Finals has a whole new meaning when a stolen win on the road means everyone in America can again win a free Doritos® Locos Taco from Taco Bell," said Marisa Thalberg, Chief Marketing Officer, Taco Bell Corp. “Regardless of which team ultimately wins the championship, we love that the real winners will be taco fans everywhere." No purchase is necessary. The free taco offer is limited to one per person.